Finishing off the week of what has been a collection of wildlife portraits, I display this photograph of a Young Red Kangaroo resting in the shade. 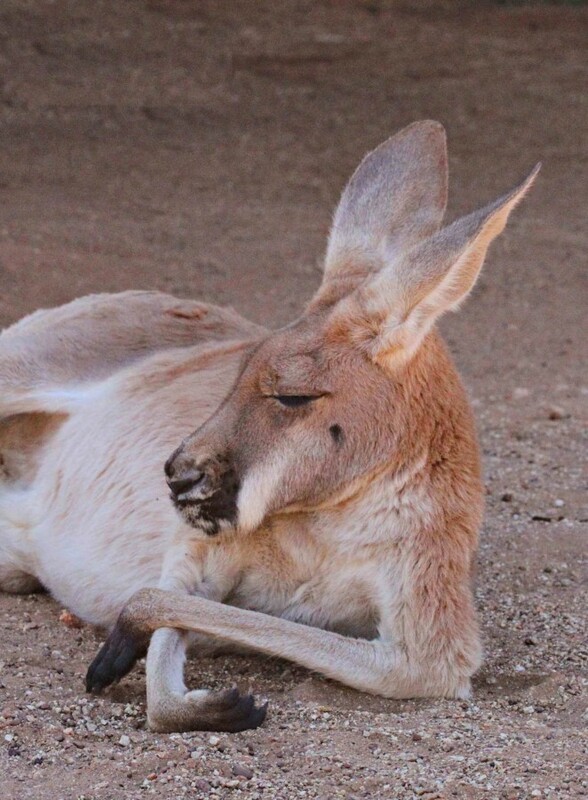 Kangaroos are the experts of relaxing during the day, and getting all the work done through the evening. Which makes me think a lot about my current job. Maybe I should be a kangaroo? It is good advice from an expert. Below the kangaroo is posed well within the frame of the picture. It has become a favourite. However, many more photographs will come as I travel through the remote Northern Territory of Australia. I like the photo very much, just as I like red kangaroos.